Pure Spa Direct Blog: Doing a Retro Barber Shop the Right Way! These days, it is all about Retro style, and barber shops are no different! Men want a place they can go to feel comfortable, pampered, and come out looking their best, and barber shops styled after the old days of yore are becoming increasingly popular. The Anton Barber Chair is upholstered with a rustic Chestnut Brown leather like vinyl, has antique style metal accents, and features heavy-duty white fiberglass from top to bottom. 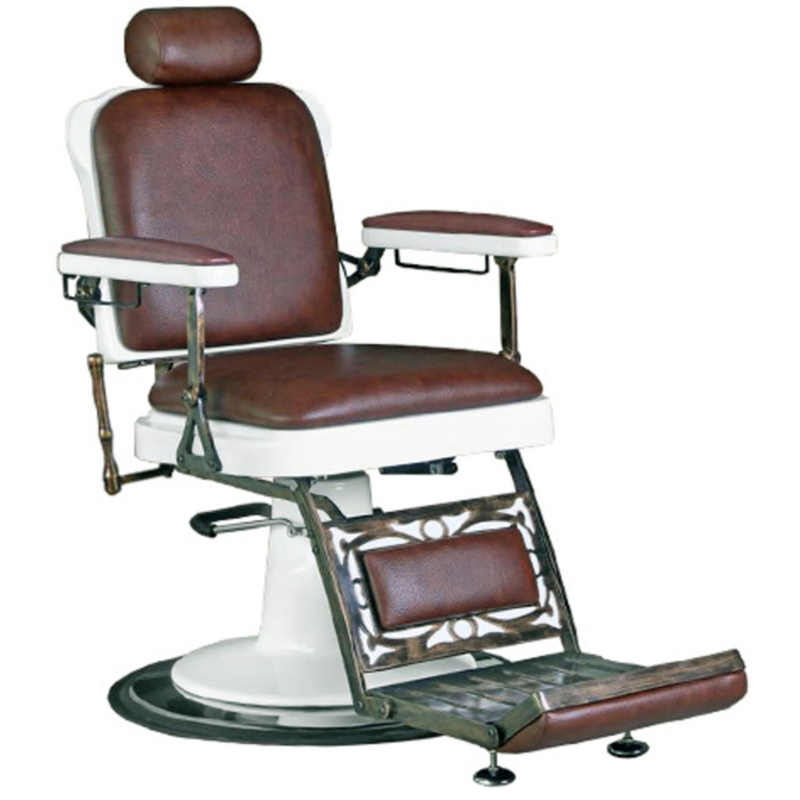 This barber chair also features towel hangers under each armrest, a right sided reclining lever, a flip up footrest, an adjustable headrest, and an authentic metal accent calf rest with plush cushioning for additional client comfort. The Anton Barber CHair reclines up to 45 degrees for professional shaves. For lifetime value, this barber chair is built on an NG1 Pump & base with a matching white fiber glass covering to accent the chair design. What's a barber shop without a proper barber pole? 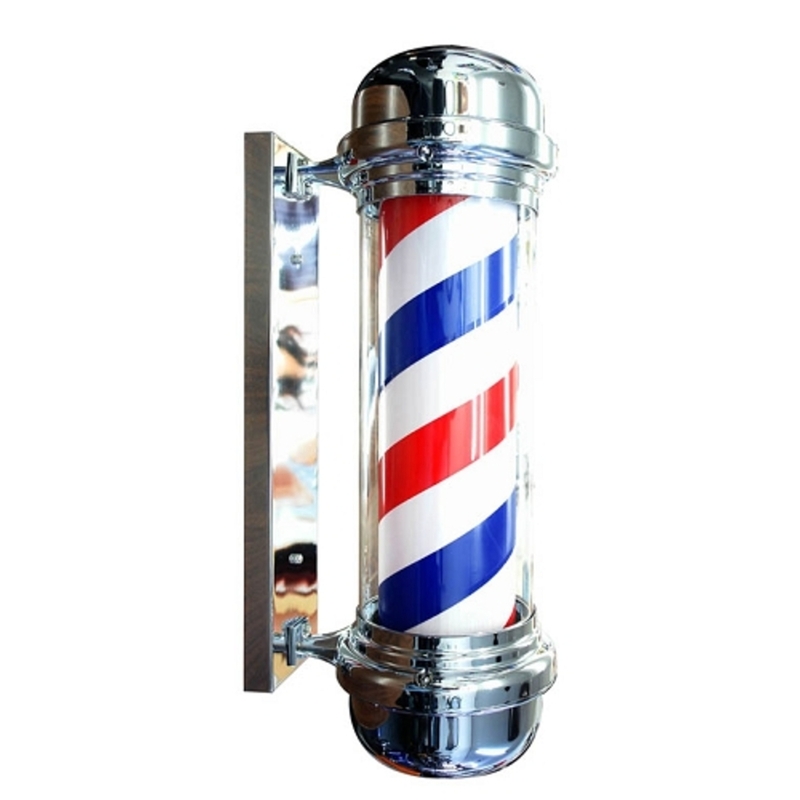 This Barber Light Pole represents the ultimate symbol of barbers - then and now! Ok, ok, so maybe this isn't retro - but the whole idea of a hot shave with a straight razor and warm foam brings back images of barbers throughout the ages! What are some other essentials for an old-time barber shop?